Cartoonists and comics fans everywhere are marking Will Eisner Week in memory of the late, great graphic storyteller, godfather of modern graphic novels and creator of The Spirit. While going through some files lately we came across a lovely letter we received from Eisner in 2001. Our set-up is not dissimilar to the business he and Jerry Iger founded in New York in the 1930s, bringing a team of cartoonists together to take on a larger workload of assignments. Naturally the achievements of the Eisner & Iger shop dwarf anything we’ve ever done as their artists were greatly responsible for defining the Golden Age of American comic books. 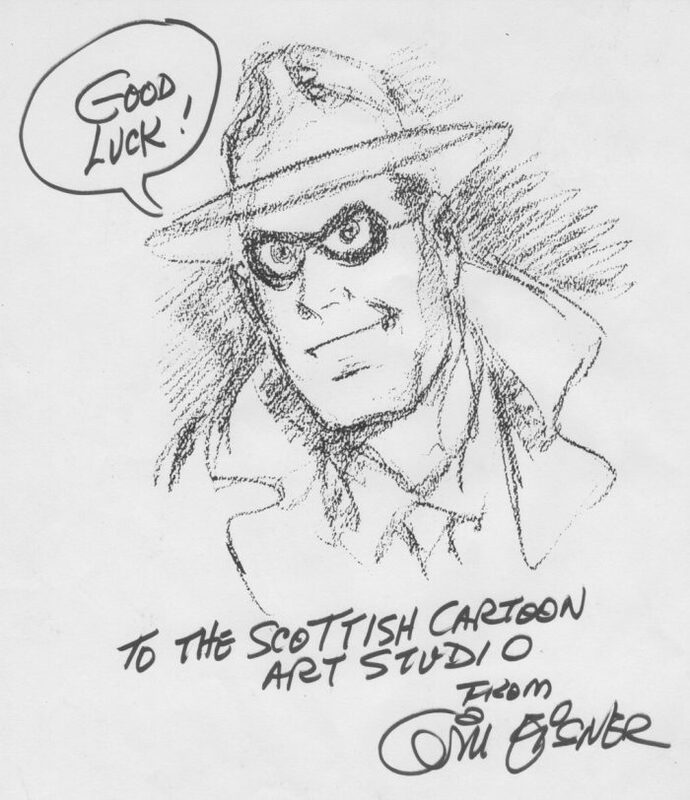 But with typical generosity of spirit Eisner was happy to write to us as compatriots in cartooning. He included a personalised sketch of his signature character, reproduced here.